Thanks to advancements in dental care, patients no longer have to settle for metal or amalgam fillings. 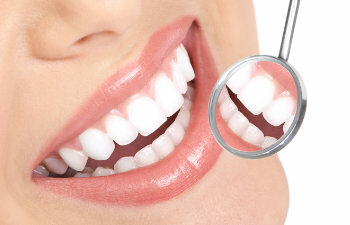 At Gold Hill Dentistry, we can provide patients with high quality tooth colored fillings. We understand that many people are self conscious about the appearance of their teeth and that they do not want cavity fillings obvious every time they open their mouths to speak or laugh. Dr. Kavi Sagunarthy and Dr. Jennifer Mokris lead our dental team and can provide the perfect balance between function and beauty when treating and restoring your smile. Tooth colored fillings are made up of a porcelain material that is created to mimic the look and feel of the natural teeth. At Gold Hill Dentistry, we use state-of-the-art, durable bonding adhesives to restore a tooth back to health. Metal fillings can blacken and expand over the years, but tooth colored fillings are designed to remain the same as the day they are placed. Tooth colored fillings are also the most beneficial choice for those who have chipped or cracked a front tooth because of the obvious location. At Gold Hill Dentistry, we are committed to providing our patients with minimally invasive care to prove the cosmetic results that they desire. From the moment you walk into our practice we have created an environment that is inviting and relaxing. We want our patients to feel at ease with anything that they need to have done, and we are dedicated to keeping that at the forefront of all we do. We are currently welcoming new patients and we look forward to helping you achieve the healthy, beautiful smile that you desire.